"The gift which I am sending you is called a dog, and is in fact the most precious and valuable possession of mankind." 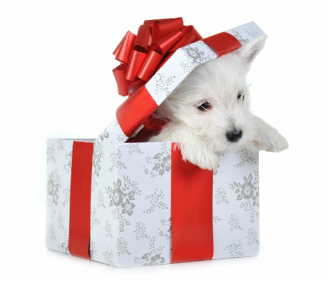 Sorry, it won't be a puppy, but if a new client* names you as the referral source on their Client Information Survey we will gladly reinforce your good behavior with a special gift! *New client must complete three (3) training sessions to be eligible.